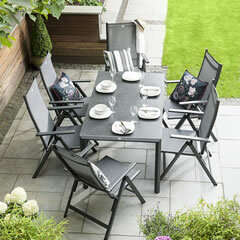 The Hartman garden furniture brand was introduced in 1982 by steel garden furniture manufacturer Bemico in the Netherlands. 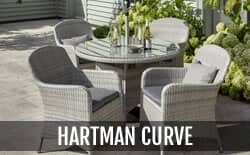 Although the Hartman brand was recognised predominantly for the manufacture of plastic moulded garden furniture in the 1980s and 1990s, their recent lines have included high quality and durable furniture made from a variety of materials including aluminium and cast aluminium, emberglow, and hardwood. 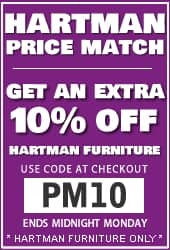 At Garden Furniture World we stock a large range of some of the best Hartman furniture, including the Hartman Madison garden furniture set, as well as spares and replacements, covers, and other accessories. 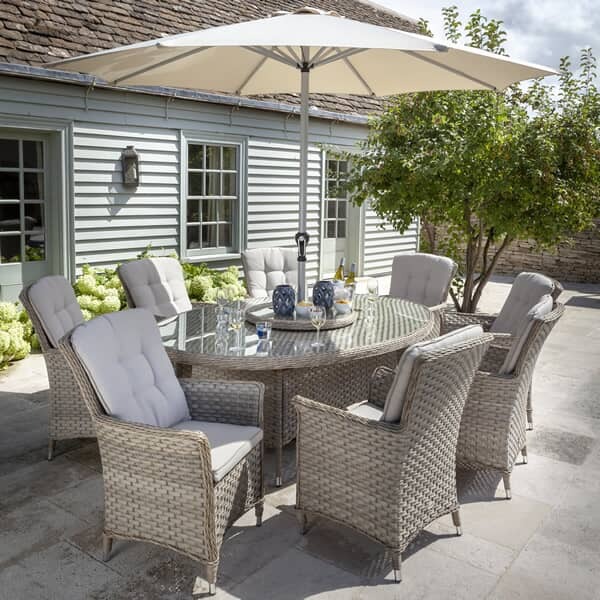 Not only do we provide some of the most competitive prices on patio furniture and accessories, but we also offer free delivery on all orders over �100. 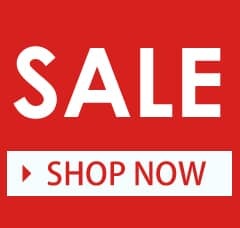 Call in to Dawson's Department Store, or order through our secure online site, to access the best deals on high quality products. 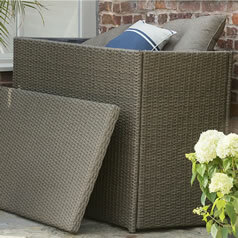 All Hartman patio furniture is designed to last. It utilises hardwearing, weather proof materials. This not only means that your furniture will continue to look great while you are using it, but it also means that you can leave most Hartman furniture out even during the winter; ideal if you are struggling to find storage space in which to place your patio furniture. Although the original Bemico furniture was made from steel, and Hartman made its name by producing high quality moulded plastic furniture, it is now possible to buy Hartman garden furniture in aluminium, cast aluminium, emberglow, rattan weave, and hardwood. This choice of materials means that you can choose furniture according to how it looks, its durability, strength, and even how light the furniture sets are. 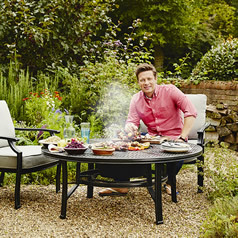 So whether the choice is made from one of Hartman's core ranges, or from one of their collaborations with the likes of Jamie Oliver, David Domoney or Kew Gardens, all you need to think about is relaxing in your Outdoor Living area no matter how humble or grand. 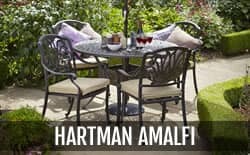 Hartman are rightly proud of the sheer range of their Garden Furniture with it's ability to complement any outdoor space from the simplest balcony to the grandest country home, and with a diverse, wide ranging mix of dining tables, fire pits, chairs, loungers, modular sets and accessories, in a variety of weave, wood, aluminium or cast aluminium, there really is something for everybody whose desire is for quality garden furniture to suit their own unique requirements. Anyone familiar with quality Garden Furniture will know that Hartman provide an eclectic mix of Garden options with every one item living up to Hartman's key mantra of reliability, comfort, quality and design, the watch words for any of their products, a key element in the thought processes in their gestation from the first moment that the pen touches paper in the design studio. 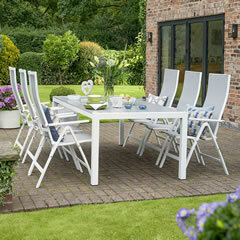 Taking the lead from the four aspects of the reliability, comfort, quality and design ethos the Hartman range of Garden Furniture uses four key materials in the construction of the ranges, Hardwood, Cast Aluminium, Weave and Steel, each used for it's functionality as well as it's distinctive character. 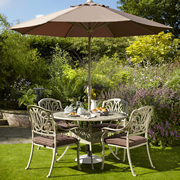 At Garden Furniture World we are dedicated to providing the best garden furniture and patio furniture at competitive prices. You can call in to Dawson's Department Store to take a look at the wide range of products we offer, or to talk to one of our friendly and knowledgeable team, call us to enquire about availiability, or use our secure online ordering system. 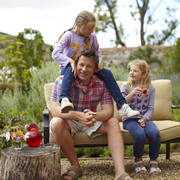 Free delivery is available on all orders over �100, and you can have your new Hartman garden furniture delivered straight to your home. The complete solution for any outdoor occasion. 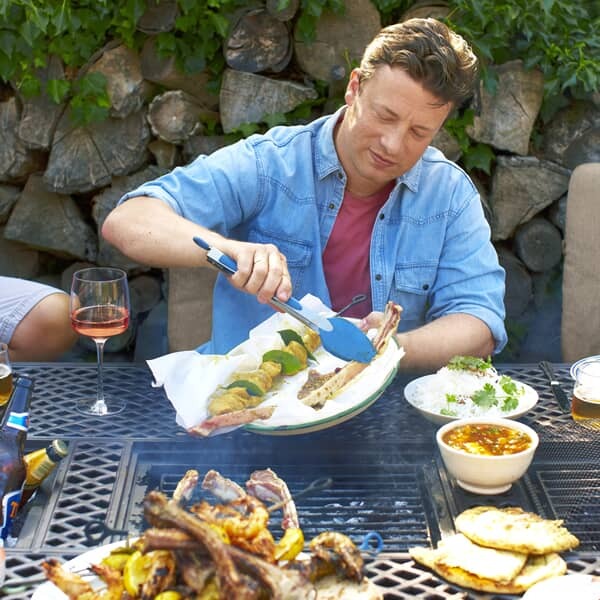 From grilling, chilling and keeping warm when the sun goes down, this set can be used all year round. 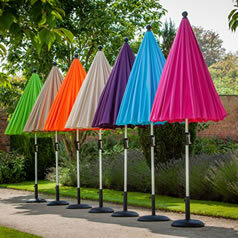 It is completely weatherproof and practical, thanks to a lightweight yet sturdy cast aluminium base. A set of four deep seated chill out chairs complete the look. Emberglow - Hartman Emberglow sets are more than patio furniture sets. 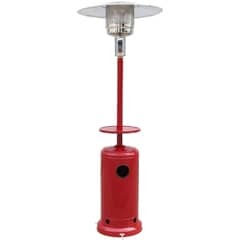 They combine traditional looking garden furniture with the benefits of a gas powered patio heater. Depending on the set purchased, you receive four or six aluminium framed, lightweight chairs that have the look of natural wood. The circular tables feature a stainless steel fire pit in the centre, and the gas burner is covered with lava rocks which give a more authentic look. The patio heater is great for providing instant heat or, with the addition of Hartman garden furniture accessories like the grilling set, it can be turned into a grill that allows you to prepare the food you're going to eat. 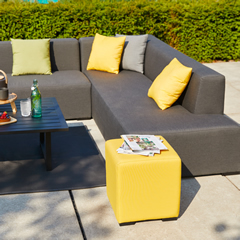 The seats include Hartman chair cushions so they are comfortable and weather resistant, and the whole set is designed to offer convenience as well as great looks. Cast Aluminium - Cast aluminium is solid aluminium, and this obviously increases the weight of the furniture. It also reduces the likelihood of it becoming bumped or otherwise damaged but it does mean that it is more difficult to move. 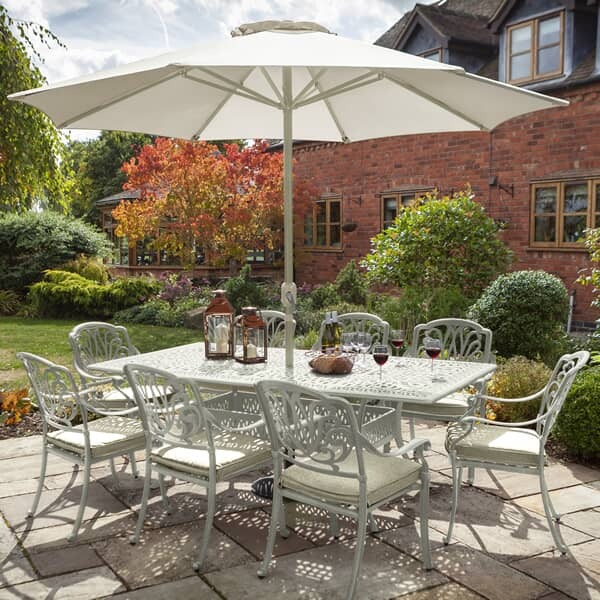 Cast aluminium sets like the Hartman Amalfi garden furniture set offer a traditional look and are hardwearing and resistant to most weather types, while requiring very little ongoing maintenance. 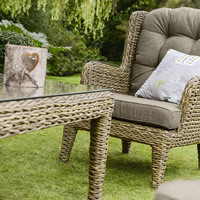 Weave - Synthetic rattan weave is placed over a lightweight aluminium frame. 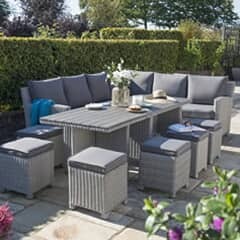 This means that weave furniture like Hartman Madison garden furniture is lighter than cast aluminium furniture, and because the synthetic rattan is completely waterproof and lightweight, it means that the furniture can be left out in the rain or it can be easily moved under cover. 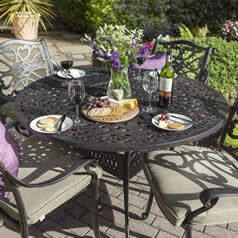 As well as the Hartman Madison bistro set, other ranges include the Bali and the Toscana. 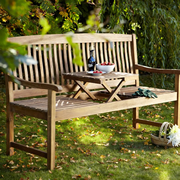 Hardwood - What material can look more natural in the garden than wood? Hardwood has natural oils that help protect it from the rain and from potentially harmful UV rays. 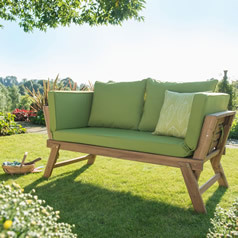 It looks natural and stunning, fits perfectly in the garden, and Hartman garden furniture comes with comfortable and high quality cushions too. Wood not only looks great, but it is a tactile material that is warm to the touch. 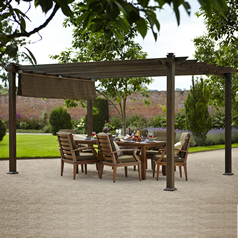 Aluminium - Aluminium garden furniture is typically made from hollow aluminium as the frame material and may be referred to as extruded aluminium furniture. 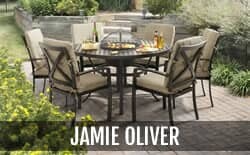 Aluminium is lightweight but durable, but because it is hollow, there is the danger that furniture can break, bend, or twist, especially if it undergoes rough treatment or is blown around the patio. The lightweight nature of aluminium makes these chairs popular with older and younger users, as well as those that regularly place their furniture in storage during the winter months. In fact, winter storage is recommended to prolong the life of your furniture. Some manufacturers include additional supports inside the cylindrical cast aluminium in order to prevent damage from occurring. Alternatively, the aluminium might be filled with another material, for the same purpose. Garden furniture covers enable you to prolong the life of your furniture although Hartman don't recommend covering the furniture. A cover is ideal for heavier furniture, that can't be stored during the winter, or if you simply don't have the room to store a table and chairs in the garage. 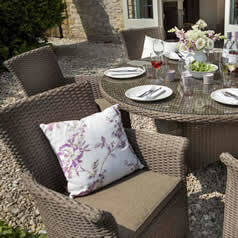 Take a look at our range of Bosmere furniture covers. 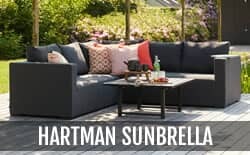 Garden Furniture World also has a host of other Hartman furniture accessories including parasols, grilling sets specifically for use with the Emberglow sets, as well as loungers, sofas, and more. 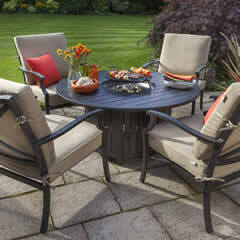 Enhance the look and features of your outdoor furniture while also prolong its life. 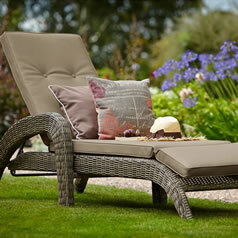 One of the benefits of Hartman garden furniture is that it is low maintenance. It takes very little effort to ensure that your garden furniture continues to look great and offer the features that you need. However, accidents can happen and, eventually, you may need to replace some of the seats, cushions, parasols, and other components. 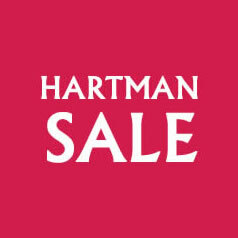 If you require spares please contact Hartman directly by clicking here!